When I was a child my Dad would pile my mom, three sisters, and me into the car and hit the road. He always took the back roads and stopped at every historical marker. He gave me the travel bug and a love of history, my major in college. Four years in the Marine Corps and 35 plus years of business travel in executive high tech management allowed me to see all lower forty-eight states. I’d return home to Southern New Jersey from my business trips and share pictures and experiences with my family. It wasn’t until I retired in 2012 that I realized she had a point. I enrolled in a travel writer’s course and published my first article in Travel Post Monthly. It was not long after, that I discovered Roy Stevenson’s travel writing books. His first book that I read was Get Published Now. It had a section that mentioned getting started in your own back yard. At the time we were living in a suburb of Atlanta, Georgia. My wife and I walked a two-mile hiking trail around a lake every day for our exercise. During these walks we met all types of very interesting people. I pitched a story idea to our local newspaper and I guess you can say the rest is history. 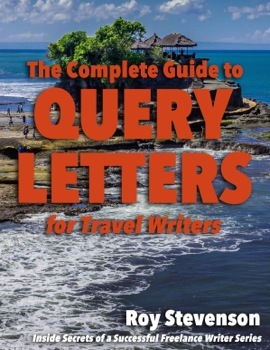 My next book was Roy’s Complete Guide to Query Letters, which I used to land several writing assignments for the English language newspaper Costa Rica Star. In all, I have five of Roy’s books, each of which has helped me improve my travel writing skills, research, and how to obtain quality assignments. Roy has not only been a great mentor, but has become a trusted friend who always responds promptly to my inquiries. Rey Waters inside a tropical greenhouse in Japan. I visited Japan for the first time with my Japanese wife in 2009 and immediately fell in love with this country and its people. In 2012 I kept a diary of my third trip to Japan and sent it to Japan National Tourism (JNTO) and they published it along with the pictures. We moved to Yokohama in 2013, and I started walking throughout the city averaging 2,500 miles per year. As a result, I discovered areas that even residents don’t know about. In early 2015 I began writing for Japan Travel (www.en.japantravel.com) with many articles about Yokohama. The city tourist bureau had a Facebook page and I began linking my articles to it. As a result of this, I was contacted and asked if I would be interested in taking some local press trips. This began what has turned into full blown Familiarization and Press trips throughout Japan. In 2018 I attended 13 FAM/Press trips ranging from one day to one week. I’ve now visited all of Japan’s eight regions, many of them multiple times. I’ve had more than 130 articles published on various websites and media. I write about the outdoors, festivals, crafts, museums, local food, history, and all the wonderful people I’ve met along the way. All of these press trips were paid for, with added daily compensation. Several have been highly paid travel writing assignments. 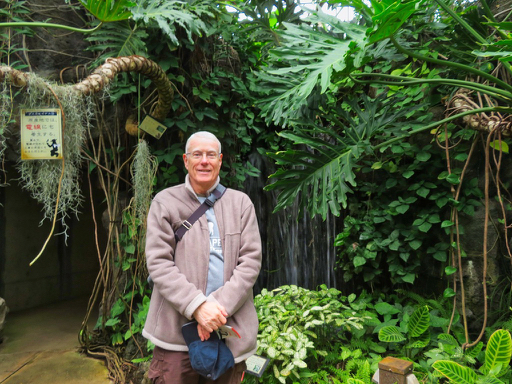 In October, 2014, I subscribed to Roy’s weekly PitchTravelWrite Marketing Tips Newsletter. Using his tips and recommendations I’ve improved my writing skills, expanded my genres, and have created a very nice niche that allows me to pick and choose the trips that most interest me. At 71 years old I’m enjoying life like it was meant to be.